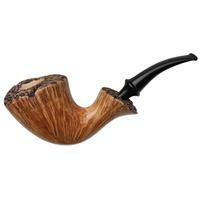 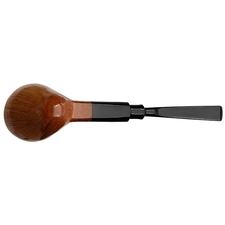 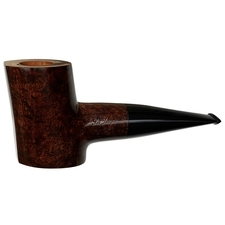 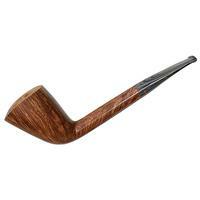 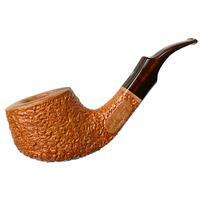 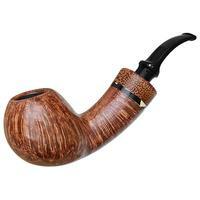 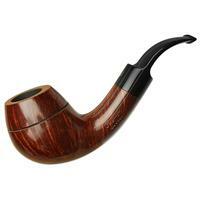 A briar of unusually ample-bodied proportions, especially for an English-school piece, this Charatan bent Dublin is jaunty, somewhat languid number, imbued with a crown of plateau bolstered by a serious pattern of flame and even an underlying ring-grain. 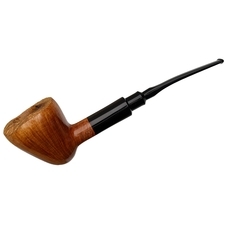 It seems to have been a pipe given as a gift to a particular brand representative or retail shop, as it was stamped "Not For Sale" in lieu of the typical Charatan stamping. 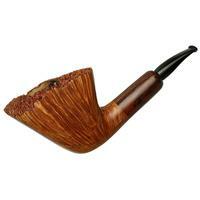 There's a touch of rim darkening, plus small dings on the bowl, but otherwise, condition is good. 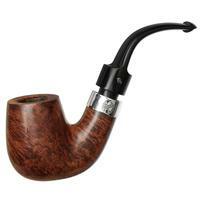 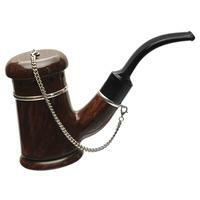 Bowl Height: 2.56 in./65.02 mm. 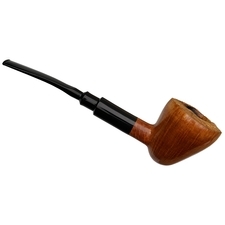 Chamber Diameter: 1.07 in./27.18 mm. 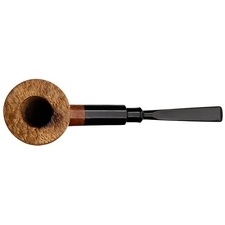 Outside Diameter: 2.36 in./59.94 mm.